Heather Giustino Blog: Phancy Phalanges Time! Local friends - if you are free today between 1 and 4, make sure to head over to (the adorable) Prim Boutique in Downtown Pleasanton (520 Main Street) to get some major nail art from Pams & Kin! 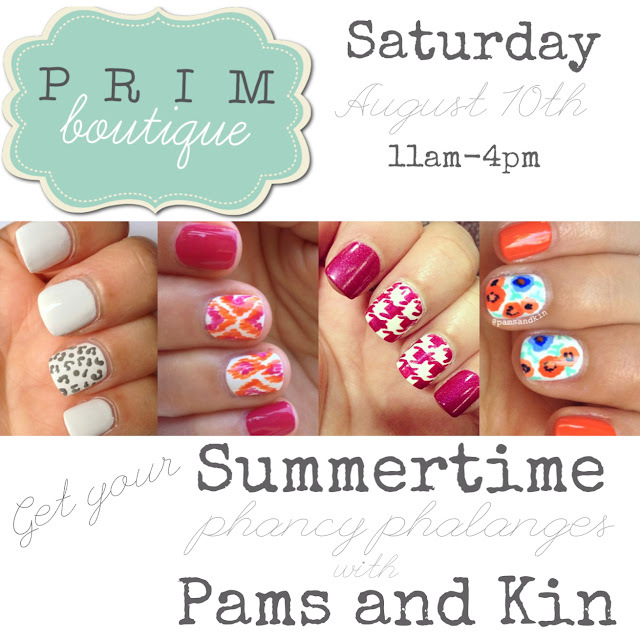 While you're there, make sure to check out all of Prim's amazing things - cute clothes, accessories and the best nail art in the world?? You have no excuse not to go! Make sure to let them know I sent ya!